I’ve partnered with BeFrugal, a free online shopping tool that pays you to shop online. All opinions are 100% mine. If you shop online, do you know how to get paid to shop online? 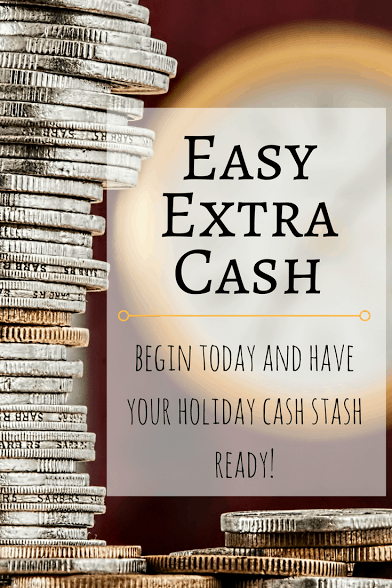 It’s easy extra cash for you. You’re likely going to make many purchases this year, so why not start getting cash back at the same time? This can really add up for you, so don’t leave money on the table! It just might be the easiest way to shop and save money that I’ve ever used. Keep reading to hear about their $10 signup bonus! 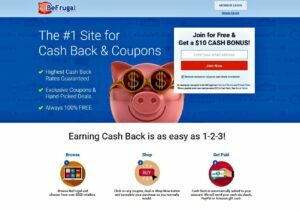 I have used several cash back sites and I can tell you that BeFrugal is my favorite. I have been using them since 2012. They have some additional perks I have uncovered which helps to put the most cash in your pocket. They earn a small commission off each purchase you make via their direct links but it does not cost you anything more to shop through their links. Then, they pass a portion of their earnings on to you. It’s free to join and all that is needed is an email address. They have a cash-back guarantee and will match competitors by 125%. If you see a different cash-back website offering a higher percentage, they’ll match it 125%! That is a pretty generous offer, wouldn’t you agree? 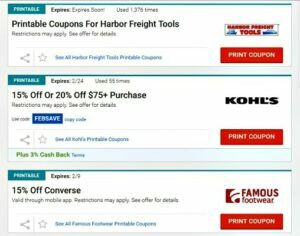 When you search for your favorite store, their current online coupons, promo codes and top sales will also be displayed. When you combine a hot sale with cash back too, you can go to the head of the class! 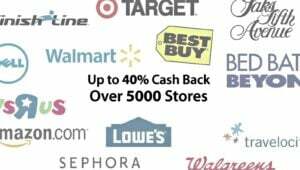 Earn up to 40% cash back at over 5,000 stores including Amazon, Target, Walmart, and BestBuy. Always use BeFrugal when booking travel. They offer great rates at hotels like Hilton and Marriott and booking sites such as Expedia and Travelocity. When you are spending hundreds of dollars on travel, the cash back can really add up. You can use your cash back to start saving for your next vacation! Be sure and keep an eye on the daily list of stores offering bonus cash back. These special promotions can be double the original cash back amount and sometimes even more! Find coupons for over 250 of your favorite restaurant chains and fast food restaurants too! Find and print the grocery coupons you need to help save money at the grocery store. It is a one- stop site for savings. With BeFrugal, your cash out minimum is $25 which can be paid by check, gift card or PayPal. I like to save my cash back all year long and then use that money for Christmas shopping, but you can spend yours however you want! 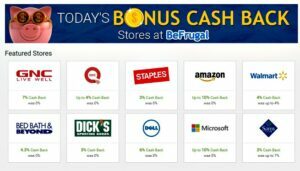 Get a $10 cash bonus free just for signing up with BeFrugal. Once you earn your first $25 from your online shopping, your $10 will be added to your payment. Share your referral links with friends and family. You’ll earn $15 for every friend you refer, plus that friend gets the $10 sign up bonus. You can email them your code or send it directly once you create your referral link. Here at More With Less Today, we are all about stretching our money and BeFrugal is one of the easiest ways I know to not only find the best online coupons and promo codes for what you are buying but to also get cash back on those purchases too. BeFrugal has been around since 2009, which is when I started my blog. That’s a long time in internet years! I’ve personally met some of the people behind the scenes at conferences and they are excited about what they do and how they help people to stretch their dollars, just like me! If you ever have a question, you can email them or start an online chat. Don’t make another purchase without BeFrugal! I know a couple of people that said they made some nice money using sites like this. I haven’t tried any and hadn’t heard of this one. I love to shop online!!! I love that sites pay for shopping online, makes it so much easier then taking kids to the store all the time. OH I haven’t heard of this site. I love saving money shopping any way I can. Must check this out for sure. Thanks for sharing. I have never heard of BeFrugal but it sounds like a great way to save money. You can never save too much money. This is great to know.I love making money on things I was already going to purchase!! I didn’t know about this site! I’m headed over to sign up! I haven’t heard of BeFrugal until today. Looks like an awesome way to earn cash back while shopping online, and their referral bonus is amazing! I love that there are so many ways to get paid to do things that you already do. I have done a ton of surveys before but I would really love to be paid to shop online, too! I love cash backs! It’s so nice when you can make money from shopping. Thanks for sharing this, I will check this out. I have never heard of BeFrugal before reading your post. I will have to mention it to my Mom as we are always looking to save money. Sounds like a great incentive for those who shop online. I mean, you can’t go wrong with getting cash back on what you buy. That is so cool. Love this idea a lot. BeFrugal sounds like a great way to get cash while shopping. I am going to have to check this out and share with my other family members along with friends. It is awesome that they match other competitors by 125% too. Thanks for sharing the information. 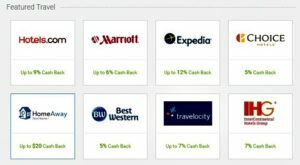 I have never used this site and had no idea they give cash back when booking travel and when buying on Amazon! This is fantastic, I will be singing up for sure! Oh, this is great! I love shopping online, I will have to check this out. Wow this looks surprisingly simple. Especially compared to a lot of the most popular pay-to-shop programs. Great post! i love this post as much as I love cash backs! It’s so nice when you can some discounts while shopping of course. I have never heard of BeFrugal before. I am definitely going to make an account, I love saving money. Money back or helps me save!! !